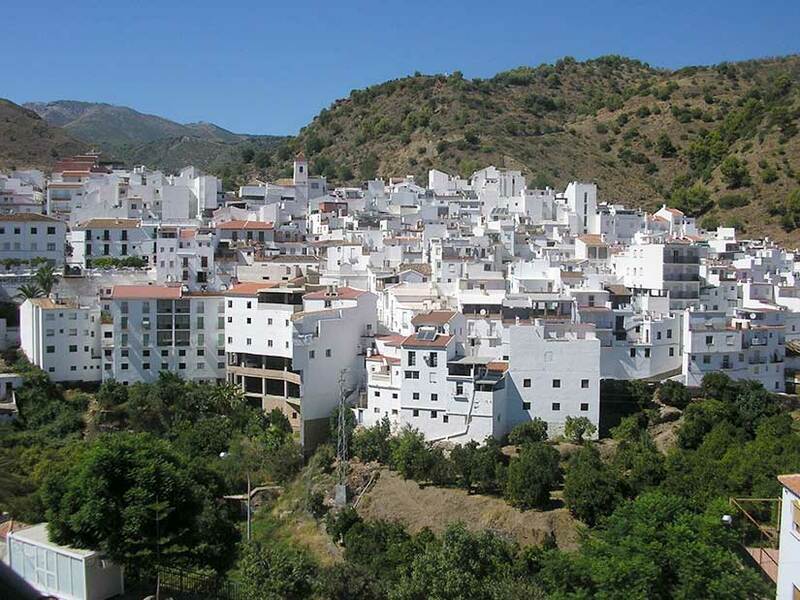 Its urban design is a throwback to its Andalusi past, consisting of steep, narrow streets of whitewashed houses topped with Arabic roof tiling, particularly in a section of the upper district of the village known as La Rinconada del Castillo. Another interesting fact about Tolox is the presence of what are known as “bitter waters”, which have been used for therapeutic purposes since ancient times; in 1867, Fuente Amargosa Spa was built, and, shortly after, its waters were declared to be for public usage. The spa, which stands just a short distance from the village, enjoys an attractive natural backdrop in the Sierra de Tolox, part of Sierra de Las Nieves Natural Park, which has been declared a Biosphere Reserve by Unesco. This area of immense ecological importance is home to the highest peak in the province of Malaga, La Torrecilla (1,919 metres). Neolithic remains have been found in La Tinaja cave in the municipal area of Tolox. Some authors believe that the name of the village dates back to pre-Roman times and could be derived from the term Tulos (originating frm the Celtic bástulo tribe) meaning “high rock”. The present-day site of the village was established by the Romans, who built a small fortress which would later be extended by the Arabs, remains of which are still visible in the El Castillo district. Written records exist of the 883 capture of the castle by Omar Ben Hafsun, the famouso muladí (Christian convert to Islam) leader born in the Serrania de Ronda region who conquered a large area of eastern Andalusia, establishing his stronghold in Bobastro, a location whose exact site is still uncertain but which is thought to have stood in or near the Serrania de Ronda; what is certain is that Tolox Castle, along with neighbouring El Burgo and Yunquera fortresses, were key bastions in the defence of Omar’s domain. In 921, following the defeat of Omar’s sons by the first Caliph Abd El Rahman III, the village became part of the cora (region) of Rayya (Malaga), within the Caliphate of Cordoba. In 1485, Tolox was captured by the Catholic Monarchs. In the 16th century, following the morisco (Moslem converts to Christianity) revolts and their subsequent definitive expulsion in 1570, the area was left practically abandoned. In 1571, on the orders of Philip II, it was repopulated with settlers from Galicia, Seville and Cordoba.